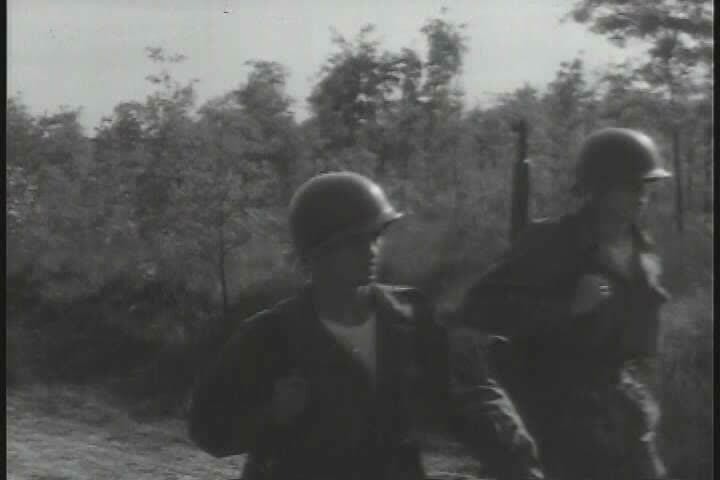 sd01:11CIRCA 1950s - The infantry soldiers hop on helicopters and are then dropped on the battlefield in 1954.
sd00:48CIRCA 1970s - Company commanders lead their troops in marching. A recruit takes advice from a fellow colleague about commanding at Fort Benning in the 1970s. sd02:171960s - American advisors train South Vietnamese guerillas. sd02:011940s - Champion sled dogs raised and trained in New Hampshire, ca.1940.